In the 1880s, Suzanne Valadon was considered the Impressionists' most beautiful model. But behind her captivating façade lay a closely-guarded secret. Suzanne was born into poverty in rural France, before her mother fled the provinces, taking her to Montmartre. There, as a teenager Suzanne began posing for - and having affairs with - some of the age's most renowned painters. Then Renoir caught her indulging in a passion she had been trying to conceal: the model was herself a talented artist. Ne pura pu, bravo novio, rizio dounc! The change in women's place in the art world animates this book, with Valadon an unsung but key figure in that transformation. Hewitt summarizes: "Other artists showed what viewers wanted to see. Suzanne showed them what was true." By not conforming to male expectations of female-created art—a muted color palette, nurturing mothers, cheerful children—Valadon broke barriers for women to create and, crucially, to make a living from the art that expressed their intentions and feelings, not only what men wanted to see from them. Renoir's Dancer is a captivatingly detailed study of an artist who should be better known for her contributions to the art world, beyond just the pretty face painted by others. (Reviewed by Rose Rankin). Starred Review. Hewitt’s straight-ahead telling of Valadon’s dramatic, many-faceted story captures this artist of ‘honesty and passion,’ this ‘matriarch of creative rebellion,’ with precision, narrative drive, and low-key awe. Starred Review. A fine selection of photographs and extensive notes superbly complement this absorbing, thoroughly researched book. 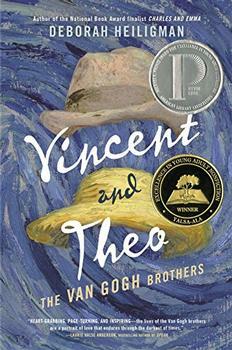 A must for art lovers and scholars, it will also appeal to readers of serious historical biographies. Starred Review. A well-researched tribute to and resurrection of a master of fin de siècle art. The year 1789 was by no means the first time the city of Paris had experienced upheaval, but the Revolution and the decades following it were particularly tumultuous. The Terror, Napoleon, the brief restoration of the Bourbon monarchy, the Second Empire under Napoleon III: the political pendulum swung wildly and violently throughout the nineteenth century in the city along the Seine. The culmination of these events was the Paris Commune of 1871, which caused some of the worst destruction the city had ever experienced. This brief and bloody civil war, however, was followed by a remarkable period of artistic and cultural efflorescence, known as the Belle Époque. 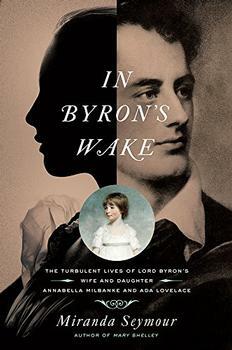 A masterful portrait of two remarkable women, revealing how two turbulent lives were always haunted by the dangerously enchanting, quicksilver spirit of that extraordinary father whom Ada never knew: Lord Byron.